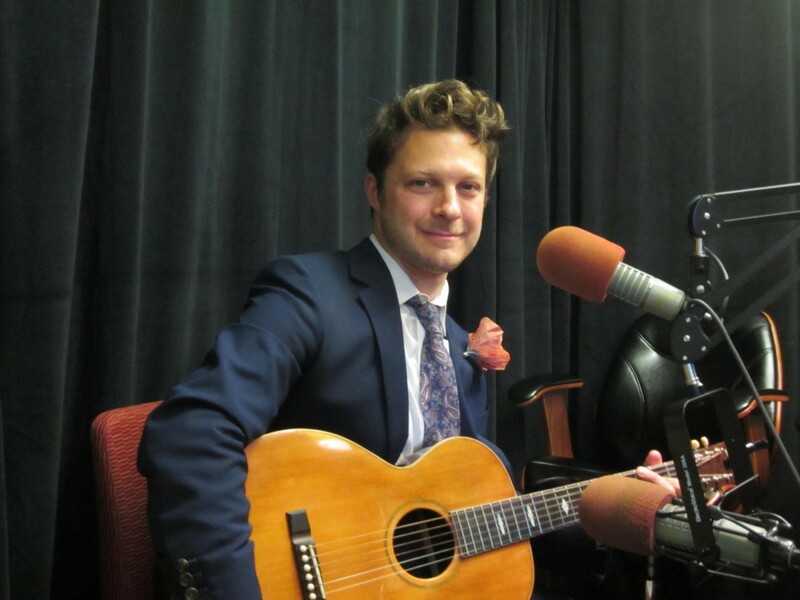 Singer/songwriter/guitarist and playwright Benjamin Scheuer is saying hello to the new and farewell to the old with a particular joy and appreciation. Scheuer has just released a 7-inch limited edition vinyl single featuring two tracks, “Hello Jemima” and “Silent Giants.” (The songs will also be available on streaming services.) And on April 30, he presents the final performance of The Lion at the Sheen Center, a benefit for the Leukemia & Lymphoma Society. The Lion, an autobiographical solo show and Drama Desk Award winner, is the result of Scheuer’s battle with stage IV Hodgkin’s Lymphoma – now successfully defeated. Scheuer will peform The Lion, the story of Scheuer’s family and his own brush with mortality, backed by six guitars in addition to his own. 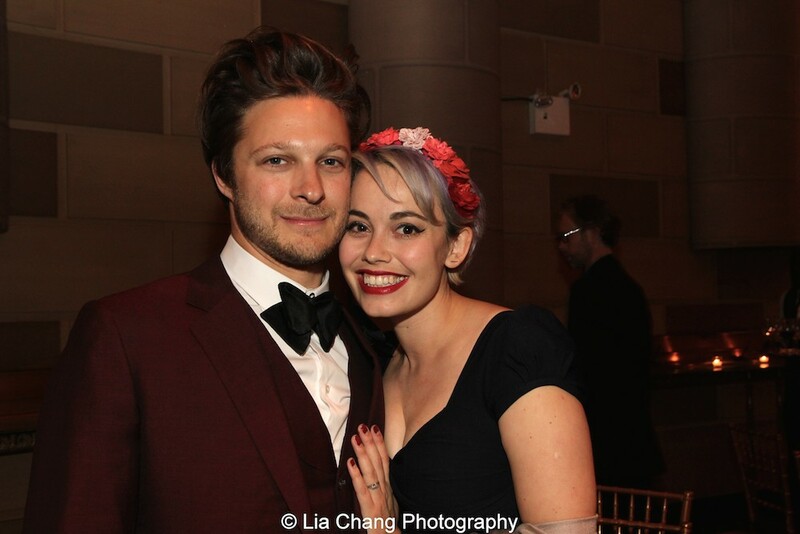 Scheuer was diagnosed with Hodgkin’s Lymphoma in 2011 at age 28 and immediately went through a year of chemotherapy. He was determined to turn adversity into a positive and to get through the experience by what he terms the alchemy of creativity. He also came to realize that his healing would have to be not only of the body, but emotionally – of the heart. “The heart is made stronger in the process,” he says about the “magical” healing power of music. “I’m not an advocare of ‘out of bad comes good.’ But I am an advocate that in dealing with adversity, understanding and art create good.” As a result, The Lion was created, and debuted in 2014 at the Manhattan Theater Club, going on to successful runs in the West End, again Off-Broadway and in theaters around the United States. Additionally, in Scheuer’s determination to walk this talk, he kept a written and pictorial diary. A friend had told him he’d be getting better on the inside and looking worse on the outside. He decided to turn that statement into an art project. Between Two Spaces was the result, a book of 27 photographs by Riya Lerner that chronicle Scheuer’s year of chemotherapy. (Fifty percent of the proceeds from the work go to the Leukemia & Lymphona Society, who has recognized Scheurer as a Man of the Year honoree). Making such intensely personal statements in music and word came naturally to him. In Kindergarten he was told he was singing “wrong.” “What I realized I was doing,” he laughs, “was singing a counter-melody!” At age seven guitar lessons commenced and by his teen years Scheuer was seriously into his art. His American father, who’d taught him guitar (and built a cookie tin banjo for the toddler Benjamin) died when Scheuer was 13. His British mother moved the family to London two years later. At boarding school there, a teacher who recognized his talent, challenged the budding artist to write a rock opera. “I’d only ever seen shows on Broadway,” he reports. “That was my frame of reference, so I wrote the piece and scored it for an eleven piece orchestra.” To his amazement, the piece was produced with the lavish band in place. And it just so happens the opera was about a father who’d just died. Yet it wan’t until The Lion that Scheuer felt entirely comfortable about the intensely personal nature of his writing and composing. “I wasn’t confident that my own words were worth hearing,” he reflects. He’d been showcasing his work at open mics and realized that he didn’t feel his narrative was effective. Scheuer’s inner playwright kicked in and he began treating the space between songs as scenes in a play. The Lion began to take shape thusly. “It wasn’t until my 11th dose of chemo that I knew I really had to tell my truth and was confident about that,” Scheuer says. The Lion was workshopped and developed in coffee house appearances and at the Edinburgh Fringe Festival before its Manhattan Theater Club debut. With The Lion put to rest, and the release of “Hello Jemima” and “Silent Giants,” Scheuer is steaming ahead, working on a new album, a new musical and a children’s book with Williams. It’s a bright future for the Scheuer-Williams household, one that Benjamin Scheuer is looking forward to with keen anticipation and a gusto for living it to the hilt.